Young Tibetan Artists Need Your Help! – Writer. Traveler. Tea Drinker. Young Tibetan Artists Need Your Help! Western Women who date and marry asian men stick together. I’ve mentioned it a few times but I’m a member of a group called WWAM and I have met many, many amazing women over the years from it. Since becoming online friends I have met several in real life and we never have an awkward “getting to know you phase” we just fall into quick, fast friendship. I’m also a contributor on the WWAM BAM blog several of us started together. So when one of our ranks, Kristel (Tibetan name Tenzin), a Canadian woman married to a Tibetan man wrote one day and told us she was freaking out, we were all concerned. Kris lives in a Tibetan prefecture in Gansu Province and spent years learning art from monks. She had a calm and relaxed attitude that she must have picked up from the monks so for her to be freaking out we knew it had to be big. In 2010 Kris opened her own art school to teach low-income Tibetan students how to paint traditional art. 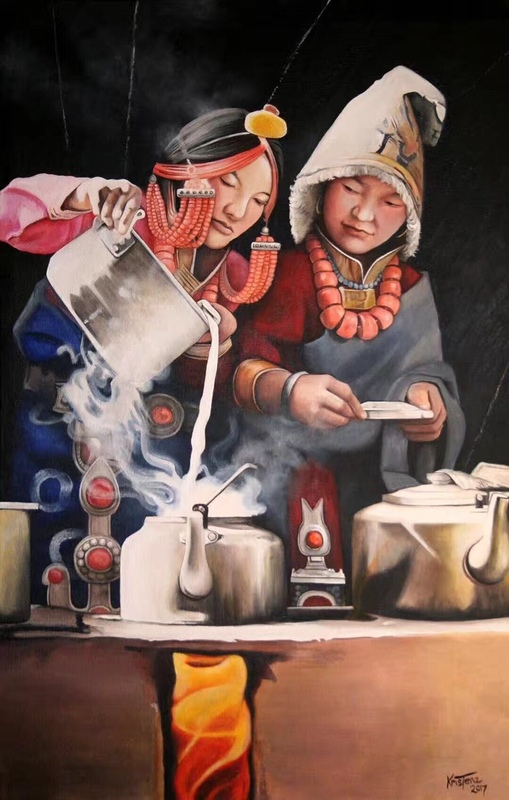 She doesn’t just teach the technique but she teaches the stories and the histories behind the paintings as a way to preserve Tibetan culture. Not just an “art mill” Kris will expel any student that copies paintings. She wants the students to become great artists themselves creating unique and meaningful pieces of art. Not just junk that is sold to make a quick buck. Most of her students are from a nomadic family and have no money or education and don’t have many other options. She also especially encourages women as they are often overlooked in the traditional nomadic culture and expected to be wives and pump out babies. So why was Kris freaking out to our group one day? Her and her husband borrowed money to buy the house that would be the school and dorm. The person they borrowed 500,000rmb ($79,000) from had a crisis and needs the money back immediately. Banks are unable to help and If they can’t get the amount by March 1st, they will lose it all. She didn’t have anywhere near that kinda money and considered it hopeless. But we didn’t consider it hopeless. 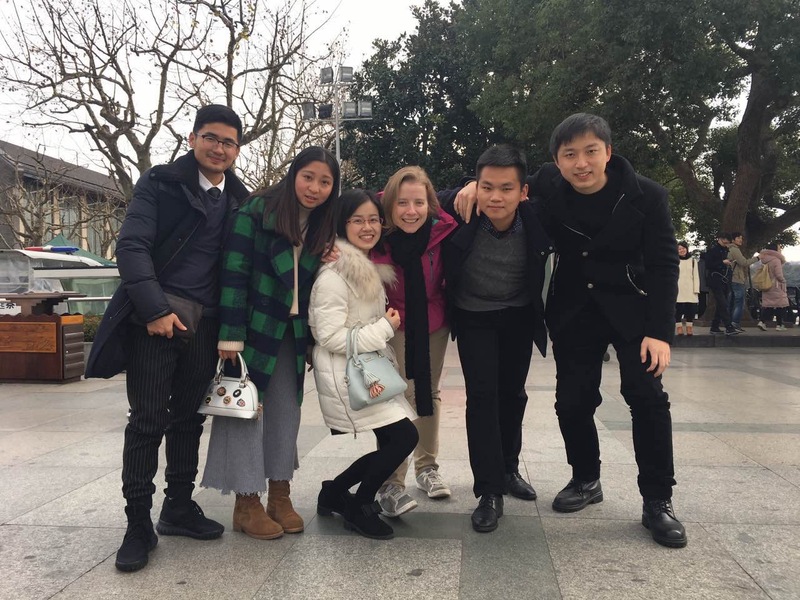 Another WWAM’er, also married to a Tibetan guy (a guy Kris introduced her to BTW) and others immediately sprang into action creating creating a group and plan to help save her school. While her work is amazing Kris doesn’t have a natural gift or even a desire to market her stuff. We’ve had to kinda push her into it and push her into charging reasonable prices for her stuff (she was severally undercharging for her amazing artwork and handicrafts). Hand painted rocks from the local river. But the deadline is a week away and she is still short several thousands of dollars (about $13,000). The deadline is non-negotiable. If she doesn’t meet it her, her husband and all 11 students (and her cats) will be out on the street March 2nd. This is her wechat QR code to donate money. You can also buy some of her art and handicrafts although right now she doesn’t have any good international marketplace. (She can send it regular post if you want but it could a few weeks to get.) You can contact her wechat directly and ask for details over some of the small handicrafts or for some of her big paintings. (Or contact her via the school’s facebook page). Some of the more advanced students are selling their works too, but amazingly Kris is keeping to the 70/30 split even in this time of crisis. Anyway, Kris has become a real friend over the years (the other day we got into an argument over who had a cooler life. She said my life, with meeting famous badminton players and traveling all over was cooler than her life of living and working in a small Tibetan village. I admit my life is pretty awesome–no false modesty here–but her life outdoes mine by a long shot. One mutual friend went to visit and as a monk was giving a tour of the Lobrang Monastary–one of the six great monasteries of the Gelug school of Buddhism– the monk said “Kris knows more than I do about the art in this temple so I’ll let her tell you.” Doesn’t get much cooler than that!) and I really want to help her. I have bought several pieces of her art myself, and a group of us donated all our Spring Festival red envelopes to her, but she only has ONE WEEK LEFT!! Kris and some students in the small school. She regularly teaches monks from the nearby monastery. So if you’ve kicked a puppy or bullied a baby, now is the time to make your karma right. Add her wechat to buy directly from her, donate to the gofundme page or check out her schools website for more information or contact her by e-mail: tenzindolma(at)yahoo(dot)ca. Or do all four! Whatever you do, just please do it now! And of you have any connections to any arts or Tibetan culture groups please pass it along so we can hep save this amazing school. Thank you! !